*Based on U.S. military drop-test standards MIL-STD-810F. Transcend is not responsible for recovering any data lost due to any improper usage. Op. Voltage USB DC 5V Op. 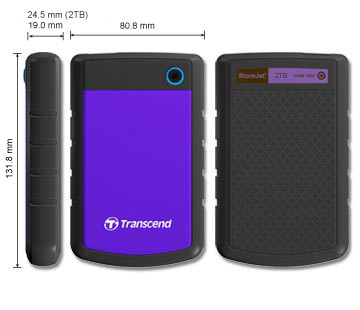 *Please access here for more information about Transcend Warranty Policy.